The aim of the competition is to preserve cultural legacy and historical success in of folk performance culture as a base of multinational creative work. · contacting other people and mutual cultural enrichment of Caucasian people. · Performers, male of female, not younger than 14 years old of any nationality who agree with the conditions of the competition may take part in it. Maximum age is not limited. · In dance nominations soloist, pairs and ensembles take park. · In musical competition only soloists take part. · There is six-mark system of appreciation of performers. · In each nomination phonogram accompaniment of the performance is possible. · Only registrated contenders who have overcome select rounds may take part in the competition. Competition tests may have one or two rounds. · Select rounds are examined by special jury. These rounds are held without spectators. 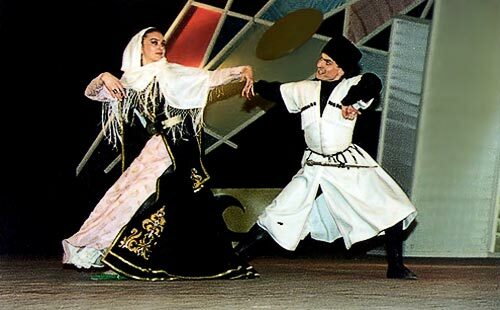 · During select rounds national costumes are not required. · Using folk elements of Daghestan Lezginka is one of the criterions of mark. · Passport is necessary for registration of the participants. · Villagers may be registrated on the very day of the select round. · The participants should fill a blank of application and write the name, surname, date of birth, address, occupation, nomination, name of musical reproduction of main and additional dance. · After registration all participants may get musical material for accompaniment and reproduction. · Detailed information about time and place of registration for Daghestan contenders will be announced in the press. · For the rest of the participants to get an invitation of organizing committee is enough. Those who want to take part in the competition for the first time should send application to the committee. 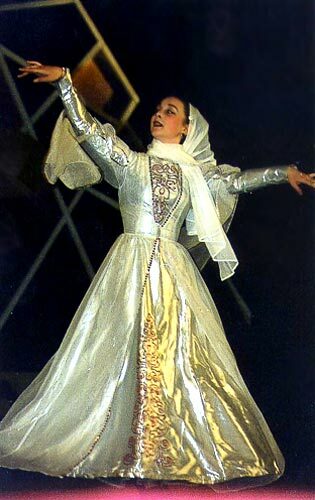 · It is necessary for the dancers and musicians who have got through to the final to have national costumes. · On the results of select rounds the final of the competition is held. It is appreciated by special jury and spectators are admitted. · Order of performance is determined by drawing lots. · Quality of the costumes will not influence appreciation of performance mastery. 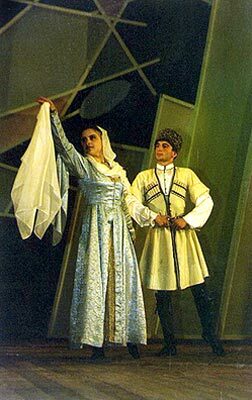 The best performance of Lezginka in pair: duration of the performance is 2,5 minutes. Dance tricks: the performer shows 4 technically difficult elements: *** on knees moving in a circle; two pirouettes with landing on both knees, rounds of knees, double tucked rounds in the air with landing on both knees. 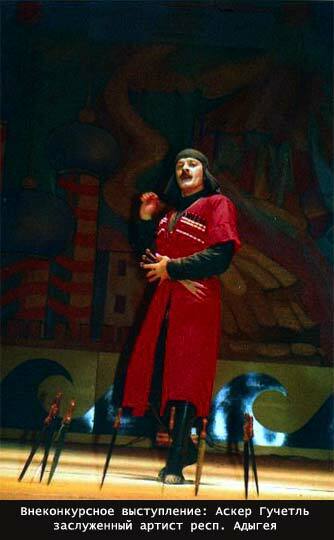 The best group performance of Lezginka: duration of the performance is 4,5 minutes. Drum: duration of the performance is 2 minutes; playing with hands - 1 minute, playing with sticks - 1 minute; 30 seconds of each of them is Lezginka and the rent if free program. Accordion: duration of the performance is 1,5 minutes; 30 seconds is Lezginka and rest is free program. Winners of the competition get diplomas, gold medals for the 1st, 2nd and 3rd places. The participants who don't win prize places become "Laureates of the competition". Artistic directors of the ensembles, which distinguish themselves in the competition, are awarded a gold medal "For outstanding contribution to choreographic art of the Caucasus". · decision of the jury is complete and cannot be appealed.